Zimbabwe’s President, Robert Mugabe has, unsurprisingly come out in full defiance to the the two-term limit imposed upon African leaders, at a time when he is serving his seventh term in office at the helm of Zimbabwe’s politics. Robert Mugabe was addressing delegates at the opening session of the African Union, as the Chairman of the African Union (AU) in Sandton on Sunday afternoon Mugabe, stating “we [in Africa] put a rope around our own neck and say leaders must only have two terms”. “It is a democracy, if people want a leader to continue, let him continue,” he said, adding that two terms could feel as short as two weeks. In sharp contrast to his suggestion, Mugabe went on to say, that heads of state should be warned against causing instability by seeking more than two terms, typically goading Burundi’s Pierre Nkurunziza, attempt to seek a third term in office. 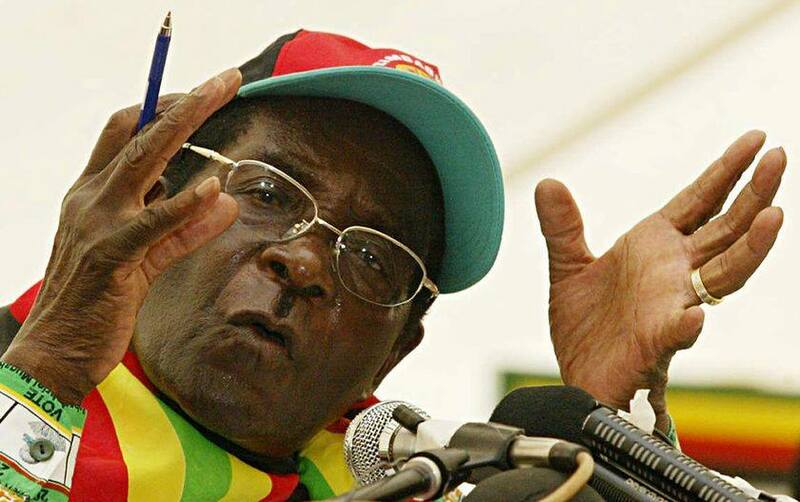 Mugabe also spoke out against leaders seeking retaliation. “Then there are fights. However, he had actually already summarised to listeners, the simple fact that two terms is not enough which is probably why he is more of a life time president after serving seven consecutive terms in Zimbabwe. Sibusiso Ngwenya.